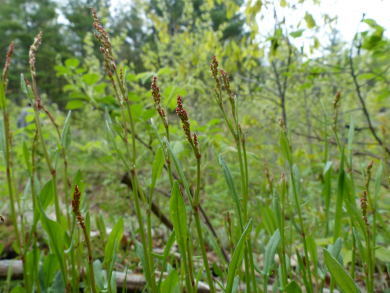 Sheep sorrel is a perennial plant that is in the buckwheat family. It reproduces by seed and by spreading horizontal roots. It is well recognized within the alternative cancer treatment community as one of the ingredients in Essiac tea. 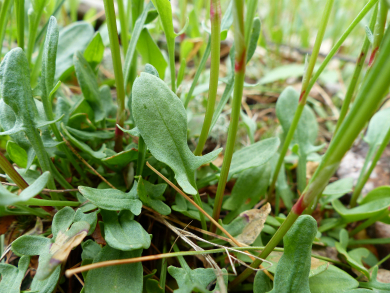 Distinguishing Features: Sheep sorrel is composed of a clump of arrow-shaped leaves growing as a rosette which are joined underground by a creeping root system. 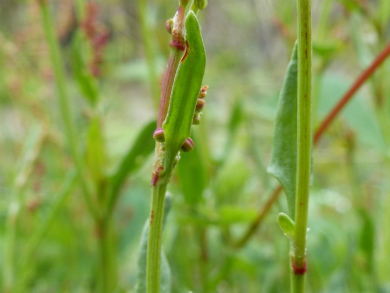 In spring, each rosette forms a reddish upright flower stem. The seed-head looks like a miniature form of a broad-leaved dock seed-head which is hardly surprising as the two species are closely related. This plants grows in patches due to the creeping root system. Flowers: Flowers are small, clustered in whorls in a branching inflorescence. This plant is unisexual so all flowers on one plant are either male or female. Female flowers tend to be greenish, male flowers yellowish, the whole plant is generally a reddish-green to brownish is colour. 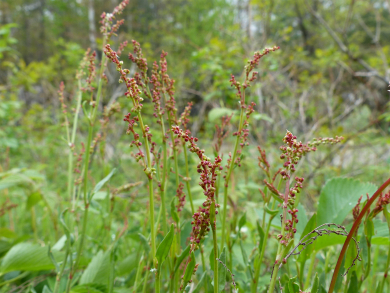 Sheep sorrel flowers from May to July. 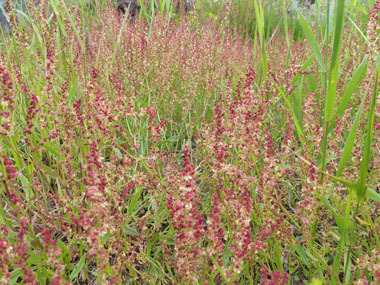 Fields of Nutrition has medicinal benefits and vitamin/mineral content of Sheep Sorrel. 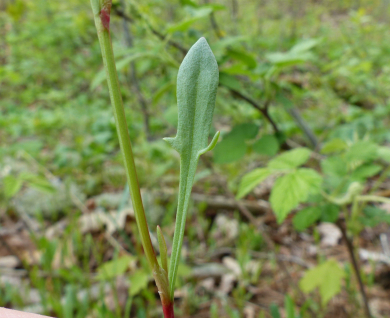 Leaves: Hairless leaves grow alternate (1 per node), variable in size and shape; lower leaves are long-stalked, arrowhead-shaped with a pair of slender lobes near the base of the blade, but occasionally can be slender and without lobes; middle leaves are short-stalked and nearly always have a lateral lobe on each side; upper leaves are stalkless. 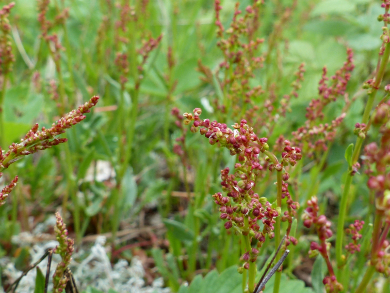 Height: This plant has reddish upright stems and grows anywhere from 10 to 40 cm (4–16 in.) tall. Habitat: The plant is native to Europe and Asia including the British Isles. It was introduced to North America and grows in many other areas of the world. 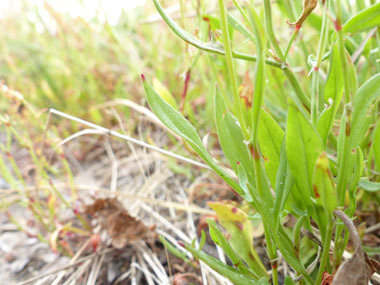 It is commonly found in acidic, sandy soils in heaths and grassland. It particularly likes to grow in areas where blueberries can be found. Edible parts: The leaves have a lemony, tangy or nicely tart flavour. Leaves (in small quantities) can be eaten raw or cooked; used as thickeners in soups, dried and ground into a powder to use a flour or make into noodles. Seeds can be eaten raw or cooked.